Changing places, changing life styles: the case of overweight and obesity. Theme: Policy and law: intended and unintended consequences for health and health care. Gorik Ooms is a human rights lawyer and a global health scholar, Professor of Global Health Law & Governance at the London School of Hygiene & Tropical Medicine, Adjunct Professor at the Law Faculty of Georgetown University, and Visiting Professor at the Faculty of Medicine and Health Sciences of Ghent University. Theme: Seeking perspectives and involvement of migrant and ethnic minorities in the health care and research challenge. 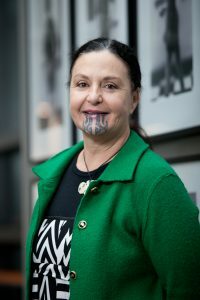 Papaarangi Reid is Tumuaki (Deputy Dean Māori) at the Faculty of Medical and Health Sciences and Head of Te Kupenga Hauora Māori at the University of Auckland. She holds science and medical degrees from the University of Auckland and is a specialist in public health medicine. She has tribal affiliations to Te Rarawa in the North and her research interests include analysing disparities between indigenous and non-indigenous citizens as a means of monitoring Government commitment to indigenous rights. Theme: Global and historical perspective on human migration and the resulting creation of multi-ethnic societies. 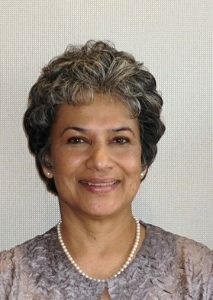 Uma A. Segal is Professor, University of Missouri – St. Louis, USA. Her area of research focus is immigrant and refugee integration, and in recent years, she has participated in migrant research in Bulgaria and in Greece. She is now conducting a cross-national project on return migration between Japan and Brazil. Theme: Promise and challenges of hypothesis driven health research in multi-ethnic societies with dynamic migration patterns. Promise and challenges of hypothesis driven health research in multi-ethnic societies with dynamic migration patterns. Charles Agyemang is an Associate Professor at Academic Medical Centre, University of Amsterdam. He received his PhD from Erasmus Medical Centre, University of Rotterdam, and Master degree at Edinburgh University Medical School. His research is focused on ethnic inequalities in cardiovascular diseases (CVDs) and CVDs in low- and middle-income countries. 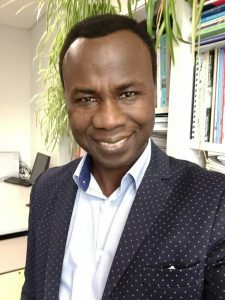 He is a project leader of the RODAM project – European Commission funded project on gene-environmental interaction on obesity & diabetes among African migrants, and co-investigator of the EC-funded InterConnect project. 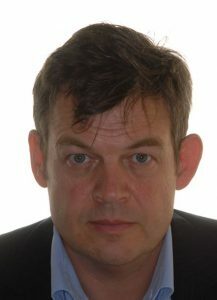 Charles is currently the Vice President of the Migrant Health section of the European Public health Association. He is a core member of the European Hypertension Society Workgroup on Hypertension & Cardiovascular Risk in Low Resource Settings. He is an Associate Editor for BMC Public Health, and serves as an Editorial Board member for several journals. He was a member and a rapporteur of the Planning Committee for WHO Global Consultation on Migrant Health. He has published over 200 published papers, and edited several books. Theme: Health service delivery to heterogeneous, diverse, transnational populations: strategic and practical solutions (with special reference to asylum seekers, refugees, trafficked. on global humanitarian aid and development topics. Fluent in English and Arabic, proficient in Hebrew. Theme: Categorising by migration status, race and ethnicity given changing composition of populations: challenges and solutions. 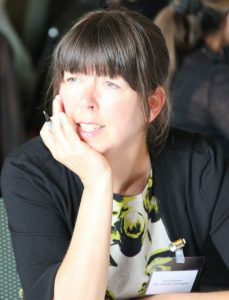 Jenny Phillimore is the Founding Director of the Institute for Research into Superdiversity and Professor of Migration and Superdiversity at the University of Birmingham. She is a Fellow of the Academy of Social Sciences and of the RSA. Her research interests span refugee integration with a particular focus on health, housing and social networks and access to healthcare in superdiverse neighbourhoods. She has led multiple research projects for funders including the Economic and Social Research Council, the Arts and Humanities Research Council, the European Union, the Home Office and research foundations. She frequently appears in the media discussing superdiversity and integration and has advised Governments in the UK and Europe. Jenny has published widely in leading academic journals such as Social Science and Medicine, Urban Studies, Journal of Ethnic and Migration Studies, Policy and Politics and Journal of Social Policy. Her new book Delivering welfare in an era of superdiversity will be published by Routledge in 2018. Consequences of migration for staffing of health services in sending and recipient countries. 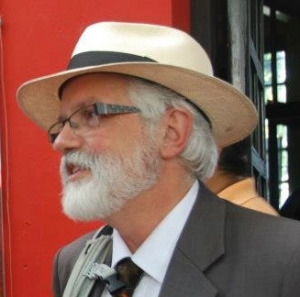 Ronald Labonté PhD, FCAHS, HonFFPH, is Canada Research Chair in Globalization and Health Equity and Professor in the Faculty of Medicine, University of Ottawa; and Professor, Faculty of Health Sciences, Flinders University, Australia. 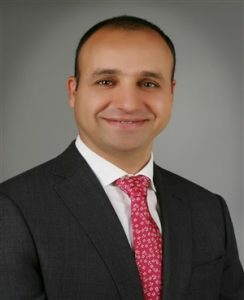 His recent and current research focuses on the health equity impacts of: health worker migration; medical tourism; global health diplomacy; trade, political economy and tobacco control; trade and food security; health impact assessments of trade and investment treaties; comprehensive primary health care reforms; the social determinants of health equity; and health and foreign policy. He is active with the People’s Health Movement, and has consulted extensively with UN agencies, governments and civil society organizations. Recent books include Achieving Health for All: Case Studies in the Struggle for Comprehensive Primary Health Care (University of Toronto Press, 2017); Population Health in Canada: Issues, Research & Action (Canadian Scholars Press, 2017, forthcoming); Global Health (Sage Major Works, 2011); Globalization and Health: Pathways, Evidence and Policy (Routledge. 2009); Health Promotion in Action: From Local to Global Empowerment (Palgrave Macmillan, 2008); and Critical Perspectives in Public Health (London: Routledge. 2007). He is presently completing a textbook on globalization and health for Oxford University Press. See http://www.globalhealthequity.ca/ for a full list of publications and research projects. Presence, persistence and creation of health inequalities, inequities/disparities in multicultural societies: root causes and current consequences. 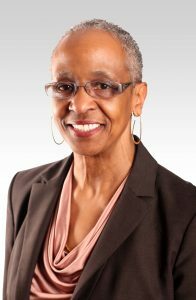 Camara Phyllis Jones, MD, MPH, PhD is Immediate Past President of the American Public Health Association, and a Senior Fellow at the Satcher Health Leadership Institute and the Cardiovascular Research Institute, Morehouse School of Medicine. As a social epidemiologist, her work on "race"-associated differences in health outcomes goes beyond simply documenting those differences to vigorously investigating the structural causes of the differences. Before coming to the Morehouse School of Medicine, Dr. Jones was an Assistant Professor at the Harvard School of Public Health (1994 to 2000) and a Medical Officer at the Centers for Disease Control and Prevention (2000 to 2014). She earned her BA in Molecular Biology from Wellesley College, her MD from the Stanford University School of Medicine, and both her Master of Public Health and her PhD in Epidemiology from the Johns Hopkins School of Hygiene and Public Health. She also completed residency training in General Preventive Medicine at Johns Hopkins, and in Family Practice in the Residency Program in Social Medicine at Montefiore Medical Center. Dr. Jones is a public health leader valued for her creativity and intellectual agility. She has been elected to service on many professional boards, including the Board of Directors of the American College of Epidemiology, the Executive Board of the American Public Health Association, the Board of Directors of the DeKalb County (Georgia) Board of Health, and the National Board of Public Health Examiners. She is also actively sought as a contributor to national efforts to define health equity, and was a Project Advisor and on-screen expert for the groundbreaking film series Unnatural Causes: Is Inequality Making Us Sick? Highly valued as a mentor and teacher, she has delivered six Commencement Addresses in the past three years. 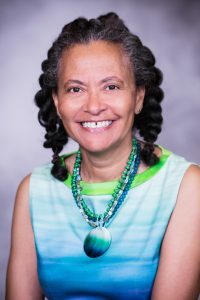 Her many awards include the Hildrus A. Poindexter Distinguished Service Award (Black Caucus of Health Workers, 2009), John Snow Award (Epidemiology Section of the American Public Health Association, 2011), honorary Doctorate of Science (Icahn School of Medicine at Mount Sinai, 2016), and Woman in Medicine Award (Council on Concerns of Women Physicians of the National Medical Association, 2017).